May is National Skin Cancer Awareness Month – Are You Prepared? According to the Skin Cancer Foundation, one in five Americans will develop skin cancer over the course of their lifetime and nearly 800,000 Americans already live with a history of melanoma. Melanoma is the most dangerous form of skin cancer, but it is preventable. May is Skin Cancer Awareness Month and we encourage all of our patients to pay more attention to skin cancer prevention strategies and make sure they are coming in for regular skin cancer screenings. Melanoma can be prevented. Using adequate skin protection year round is one of the best ways to keep your skin in good health, especially considering that summertime isn’t the only time of year when your skin is vulnerable to sun damage. 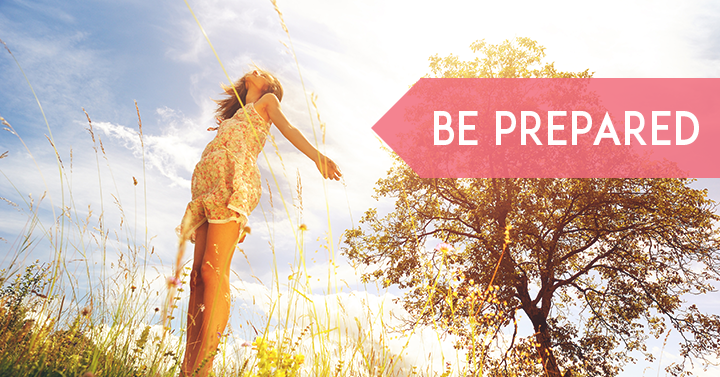 Get into a routine of applying sunscreen frequently throughout the day. Whether you’re spending the day by the pool or are just planning to be outside for a few hours, you need to make sure you’re applying a generous layer of sunscreen before you head outdoors and reapply sunscreen every two hours if you’re going to be in the water. Skip the tanning beds. Tanning booths emit UV rays that are very damaging to the skin and can increase your risk of skin cancer. Avoid the tanning beds whenever possible and always use adequate sun protection if you do choose to tan. Monitor moles. Make a habit of checking moles regularly and come in to see Dr. Michalak for your annual skin cancer screening. Keep in mind that melanoma can develop on any skin surface, including areas of the skin that are sheltered from the sun. Asymmetry, an irregular border, color variegation, a diameter greater than 6 mm, and changes in a lesion over time are some of the characteristics of melanoma. Wear UV-blocking clothing. Protect your skin from sun damage by wearing UV-blocking clothing, a wide-brimmed hat, and adequate eye protection. Even though it can be uncomfortable at times, wearing long sleeves and long pants to cover up more skin can help ward off sun damage. Steer clear of the sun. UV radiation is at its highest between 10 a.m. and 4 p.m. because this is when the sun is strongest. Avoid spending time in the sun during these times to protect your skin. Skin Cancer Awareness Month is a great time to take better care of your skin’s health. Set up your appointment for a skin cancer screening or melanoma treatment with Dr. Michalak today!